Originally created as a lightweight alternative to the heavy shine serums, Glossing Creme can easily be applied to wet or dry hair polishing it for a smooth look while helping to create a vivid, glossy finish. Leaves hair smooth and glowing. Delivers refreshed shine throughout the day. Recommended for normal to dry hair types. 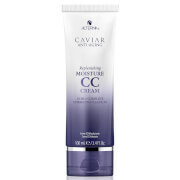 Apply a pea sized amount to damp or dry hair. Avoid contact with eyes. For external use only. Water/EAU, Dimethicone, Cyclopentasiloxane, Dimethiconol, Butylene Glycol, Phenyl Trimethicone, Olive Glycerides, Acrylamide/Sodium Acryloyldimethyltaurate Copolymer, Vitis Vinifera (Grape) Seed Extract, Hydrolyzed Conchiolin Protein, Panthenol, C13-14 Isoparaffin, Fragrance/Parfum, Polysorbate 20, Laureth-7, Disodium EDTA, Sodium Benzoate, DMDM Hydantoin, Titanium Dioxide, Mica, Yellow 5. 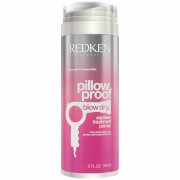 I have used this off and on over the years and I stray but always come back to this.it makes my hair shiny and smooth. you need very little so it lasts a long time.